Independent Study 11/12 Environmental Science is a course for students who are interested in individualized learning. Students will research and create their own course work as it ties into the course curriculum as well as participate in off campus field work. Mount Fuego is an active volcano that erupted June 4'18. The recent volcanic eruptions in Guatemala are a reminder that some volcanoes pose a great hazard to life. 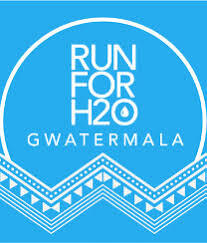 Join others Saturday June 16 (at Riverfront Park South Vancouver) and run to fundraise for Guatemalan communities. 2) Research References (include a list of References with the proper page layout including name, date, publisher, url). 3) Type 500 words of your research. ​5) Pictures to organize and support your explanations and flow your written work. 6) Write a five or six sentence paragraph Personal Response to your research. 3) Type 350 words of your research. 6) Type a five sentence paragraph Personal Response to your research. (slide 2 and 3) compose a short phrase to complement each slide's picture.